I have always been greatly inspired by the Indian Tribal fashion. There are no fashion rules existing in their world, yet the end result is absolutely mesmerizing. The clothes, the jewelry, everything seems perfectly coordinated. Every state has its own unique style which reflects the culture among the people living there. 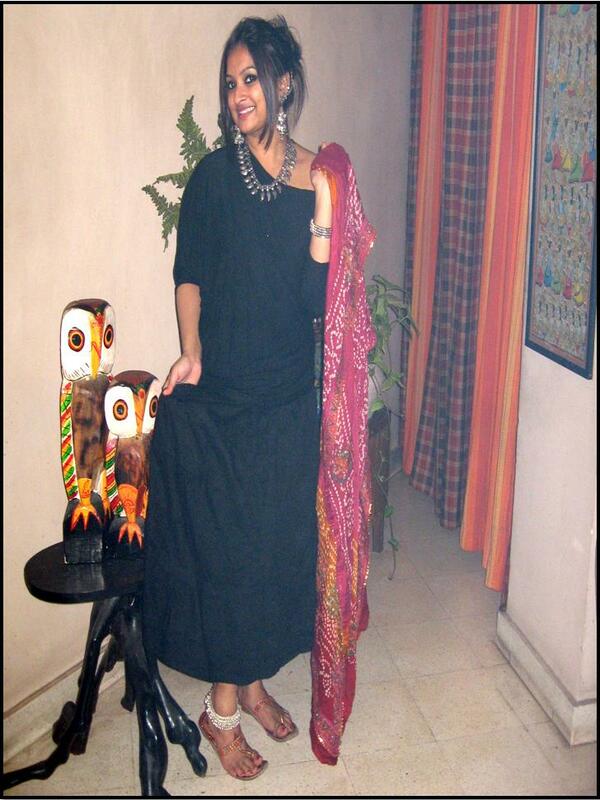 I thought of incorporating a few elements of the Indian Tribal fashion into our regular-day fashion. I started with the Rajasthani look and tried experimenting with it. 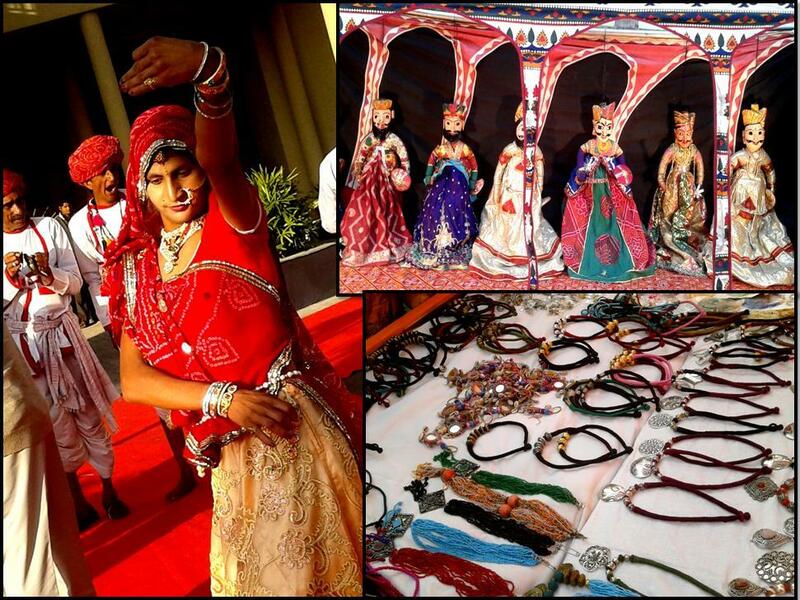 When we talk of the Rajasthani culture, the few basic elements in it are: Bandhani prints, long skirts or lehengas and lots of silver jewelry. I wore a long flowing black cotton skirt from Big Bazaar with a black off-shoulder top from New Market, Kolkata. To break the monotone, I teamed it with a Bandhni prints stole. Bandhni is the local art in Rajasthan, mainly a tie and dye. These are sold in vibrant hues. 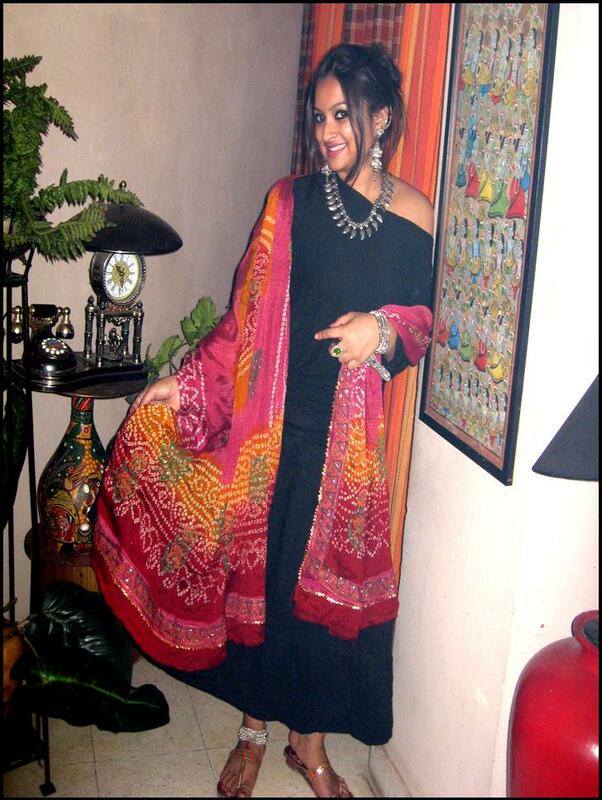 Apart from bringing in a splash of color, this stole is giving out a typically Rajasthani feel. The best part about tribal fashion- there is absolutely no restriction on jewelry. You could go wild and generous and really creative. Just remember to stick to silver when you try out the Rajasthani look. 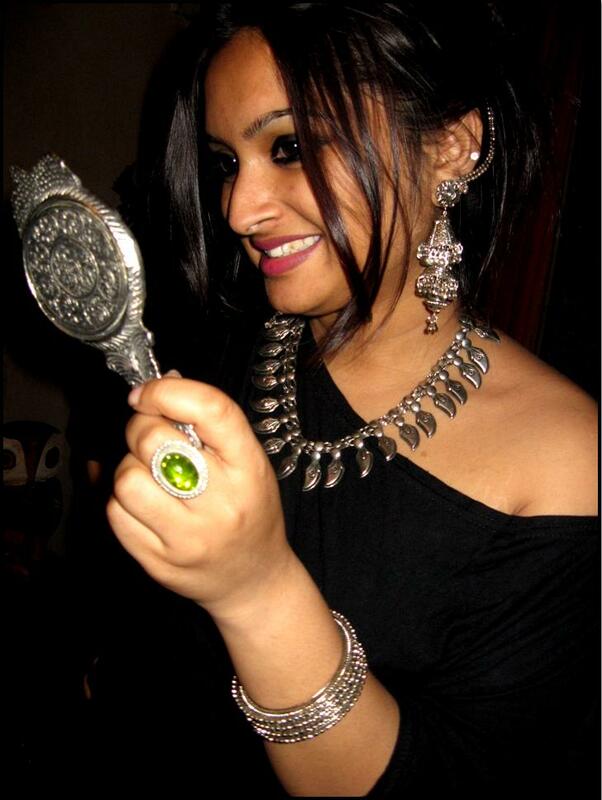 I wore a pair of huge silver jhumkas, a neckpiece and bangles and a ring. I also added an anklet, locally known as the “payel”. As for the footwear, Kolhapuris and Mojris go perfectly. I’m wearing a pair of Kolhapuri sandals.